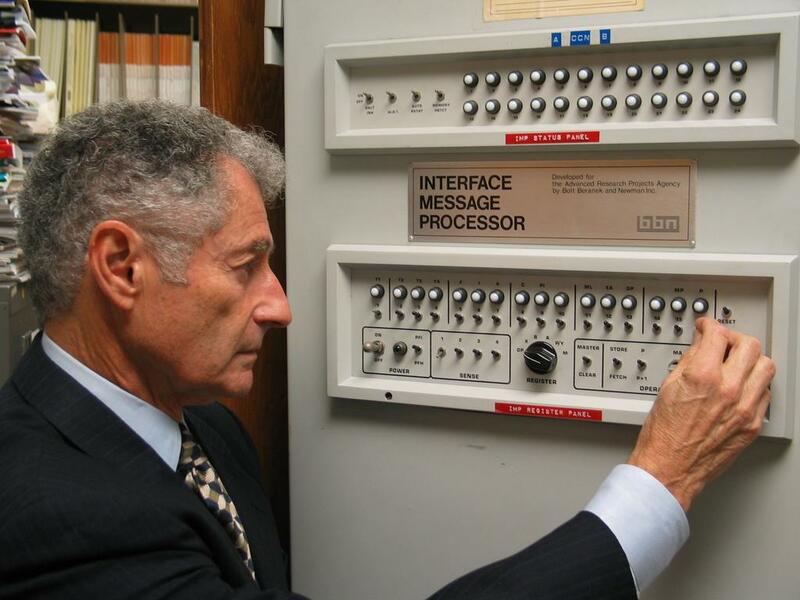 Here are some images I received from Mr. Kleinrock, one of the pioneers of the ARPANET. 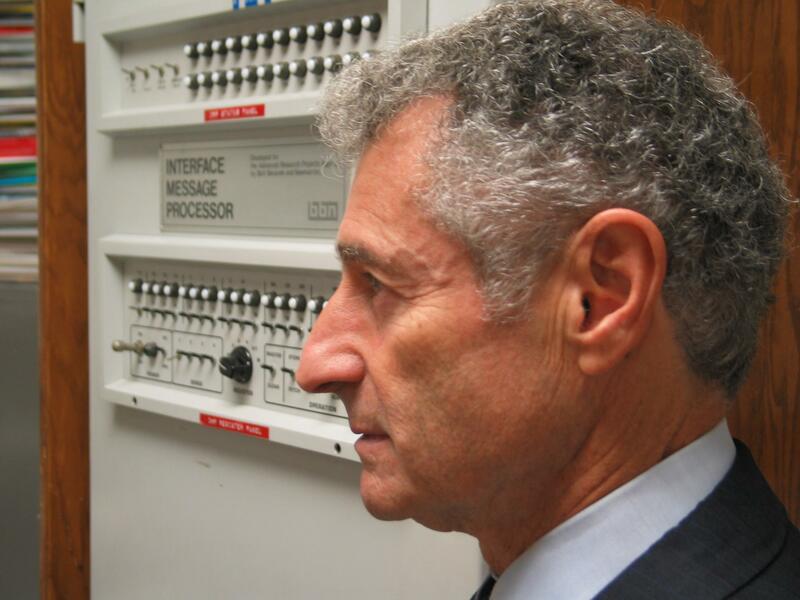 For more information about him, visit his homepage at UCLA. 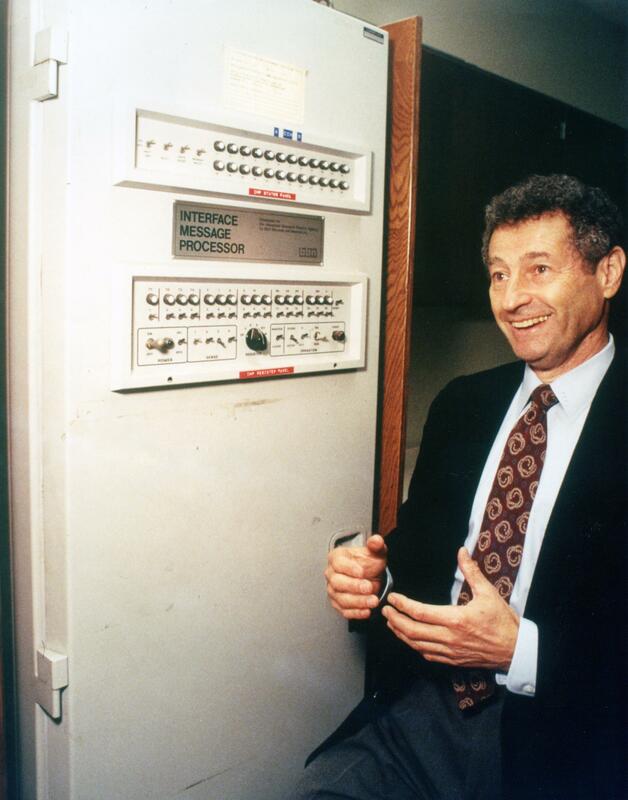 Mr. Kleinrock allowed me to put these images onto my website, so here they are! 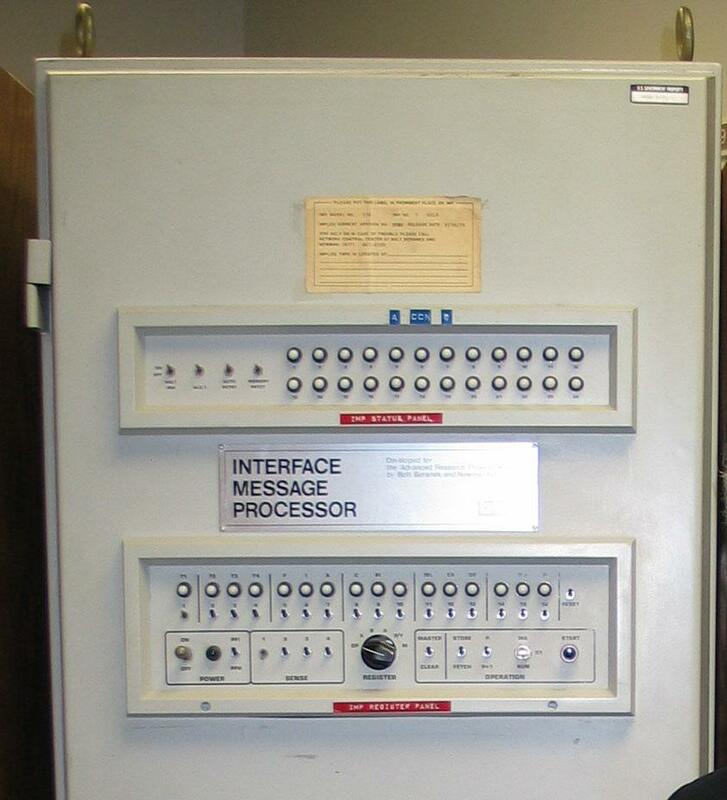 As far as I know the IMP at UCLA is not only one of the very first few ARPANET IMPs, it is simply the first one. 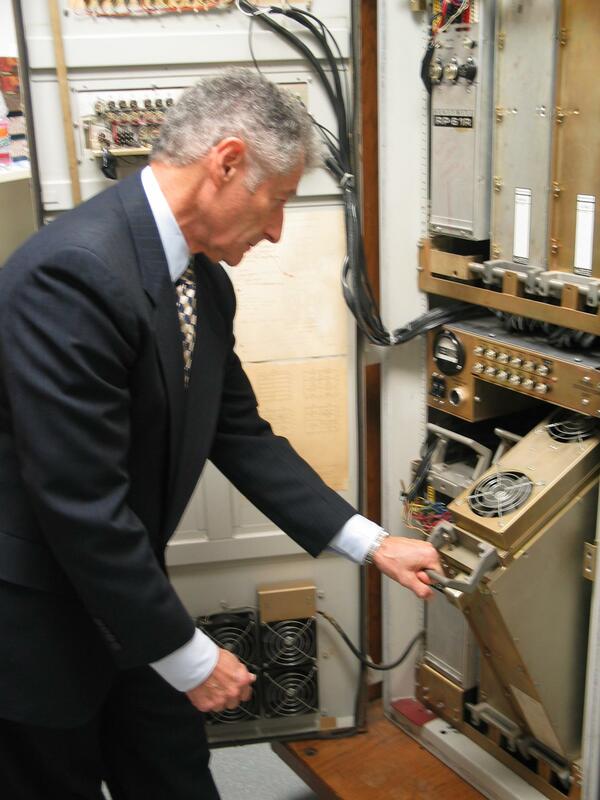 I have asked Mr. Kleinrock for more interesting pictures of the machine which resides in his office. He promised me more... So if I get new pictures I will put them up here, too. So now enjoy these phototraphs of a historical significant man and his historical significant machine..! 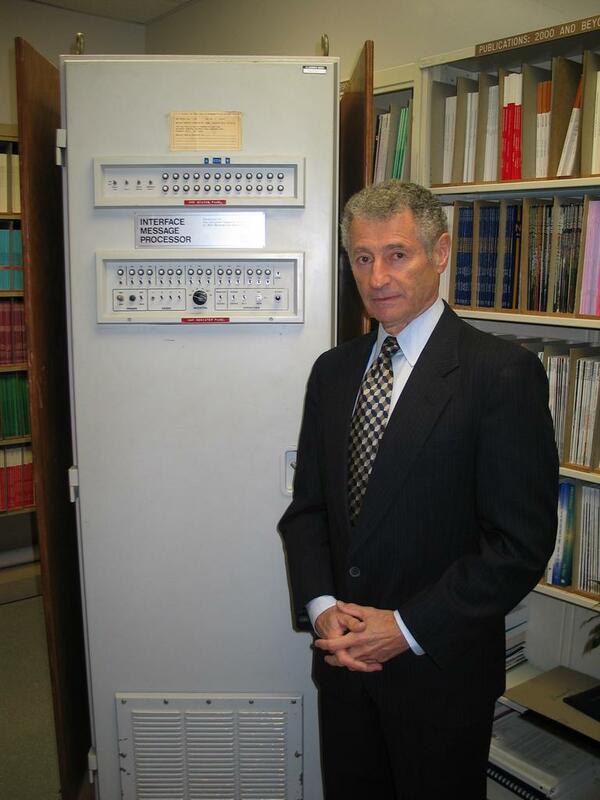 1024x768 Full size Mr. Kleinrock and his IMP. This is an old picture but not really old I think. Perhaps ten or twenty years? 1024x768 Full size Le maître avec sa machine. 1024x768 Full size The IMP's front panel. The upper panel must be something IMP specific. 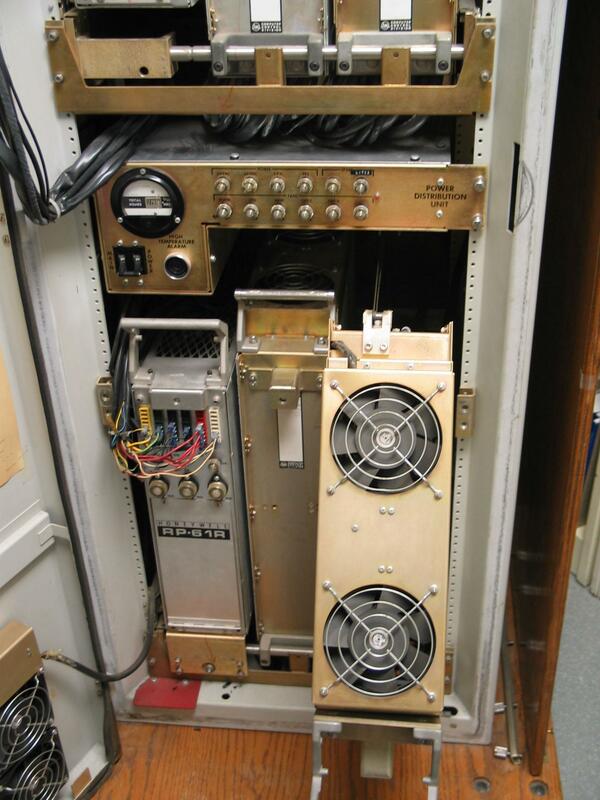 The lower panel is a standard Honeywell/3C DDP-516 front panel. 1024x768 Full size View into the cabinet with open front door. On the left you see the power supply. And five (three upper and two besides the PSU) logic drawers. Each drawer can contain either a DDP-516 CPU or some memory, peripherals, CPU options etc. It's modular. I am still waiting for puctures of the inside of the drawers.